Canada's greatest manufacturer of canoes and kayaks. There are no shortcuts for these expertly-crafted canoes and kayaks. The crew at abitibi & co has been creating canoes in traditional style and quality since 1960. We fell in love with the sheer beauty and simplicity of their design. 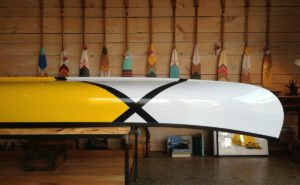 They have also partners with Norquay & Co. to offer gorgeous painted canoes that will shine, no matter what the weather on the water. 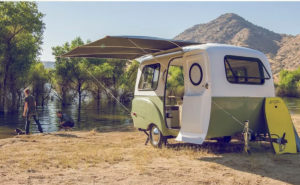 They offer three different styles of canoe, the Scott, the Bluewater and the Impex. Whether you are a recreational user or a seasoned open water pro, they have a beautiful canoe just for you. Abitibi & co. canoes and kayaks can be ordered online, or you can check them out in person at select authorized dealers.